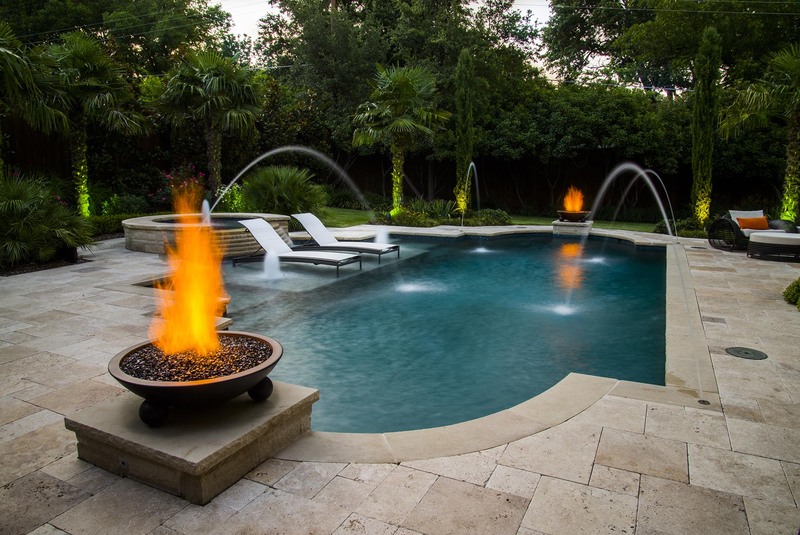 This classic shape pool design is flanked by opposing fire bowls for a dramatic night time effect. Tropical plant materials including Windmill Palms anchor key locations in the garden. 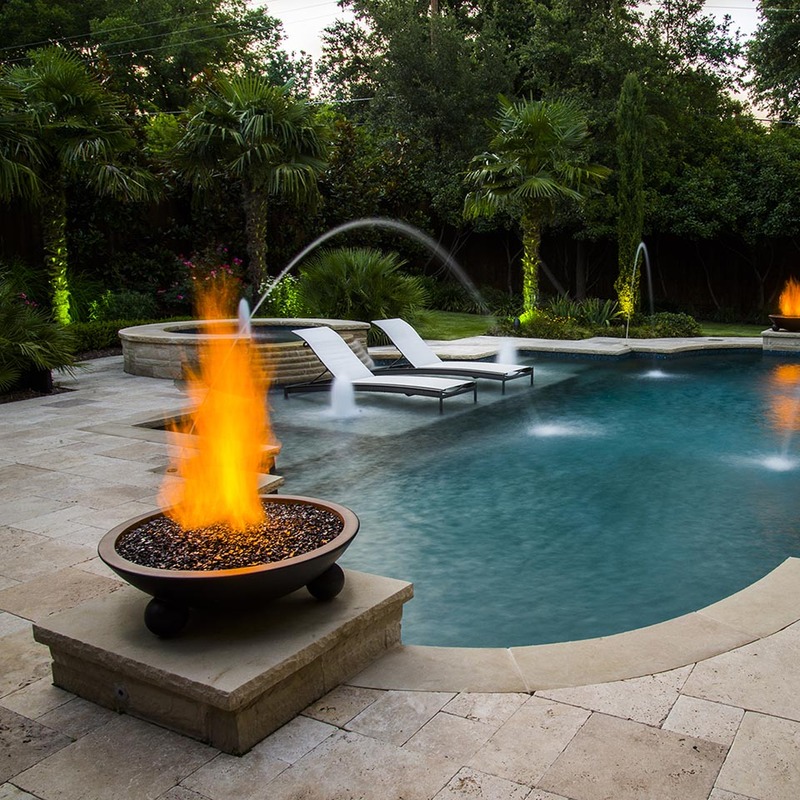 This unique pool design includes Grecian style entry steps and a tanning ledge for chaise lounges. The travertine deck design creates a conversation area with deep seating chairs and ottoman.